April showers and showers and showers…hopefully will bring some May flowers! The weather continues to bring challenges to the exterior work we are trying to complete on our ground-up and remodel projects, but our interiors teams are plugging away as usual. This month, we are featuring interior projects that our tenant improvement teams have completed, both in Indy & Chicagoland. Our team will be attending ICSC ReCon in Las Vegas in May, meeting with developers and retailers growing around the country. If you’ll be there and would like to connect, please contact Lauren @ lkriner@capitolconstruct.com to coordinate a meeting time! Additional project photos can be viewed on our facebook page. If you’re interested in talking with our us about a potential project or partnership, please contact Lauren Kriner at lkriner@capitolconstruct.com or 317.574.5488. If you are a vendor partner, please make sure to register your business on our new subcontractor system here. OB/GYN OF INDIANA, Indianapolis, IN – 10,800 Sq. 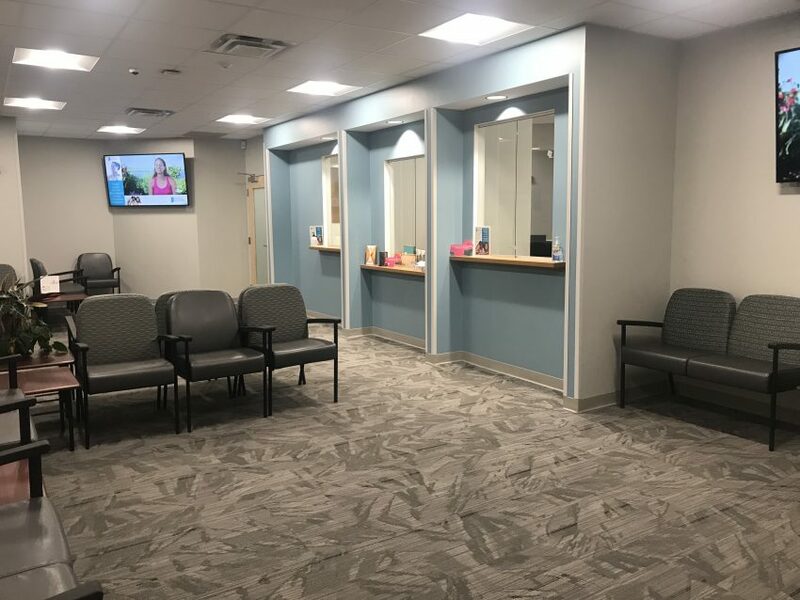 Ft.
One of Indiana’s largest providers of womens’ obstetrics solutions, OB/GYN of Indiana, relocated their practice earlier this year into 10,800 square feet at Township Line Medical Plaza. The new office, designed by Indianapolis-based Arc Design, serves nearly 225 patients each day. The OB/GYN team is excited about their modern new space, offering a greater ability to provide comprehensive care for women at every life stage. 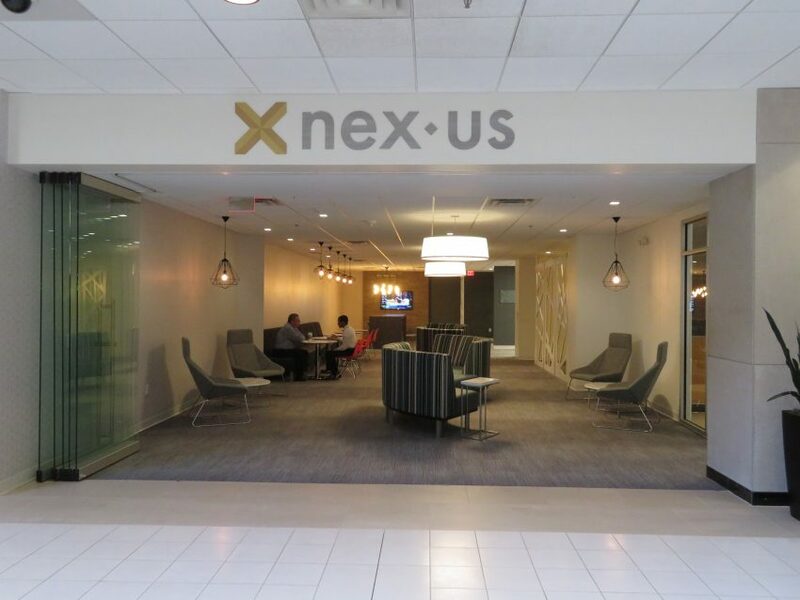 Now accommodating tenants and guests of downtown Indianapolis’ PNC Center, the new business lounge and gathering center “Nexus” has just opened! Our team demolished an old Charlie & Barney’s to replace the vacancy with a building amenity that is is now in high demand within Class A buildings. Schott Design worked with the Hertz Landlord team to design the functional new space! CITY BARBEQUE, Orland Park, IL- 4,000 Sq. 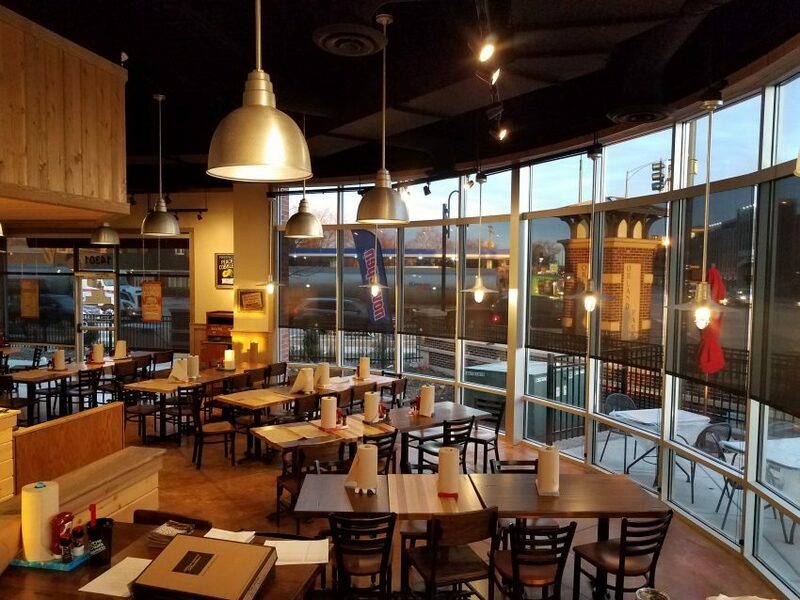 Ft.
Our Chicago team completed their second project for City Barbeque in Orland Park, IL. The new 4,000-square foot restaurant was designed by Columbus-OH -based Design Collective, and incorporates a food-service line, carry-out area, and indoor/outdoor seating! KENZIE ACADEMY, Indianapolis, IN – 2,200 Sq. Ft. 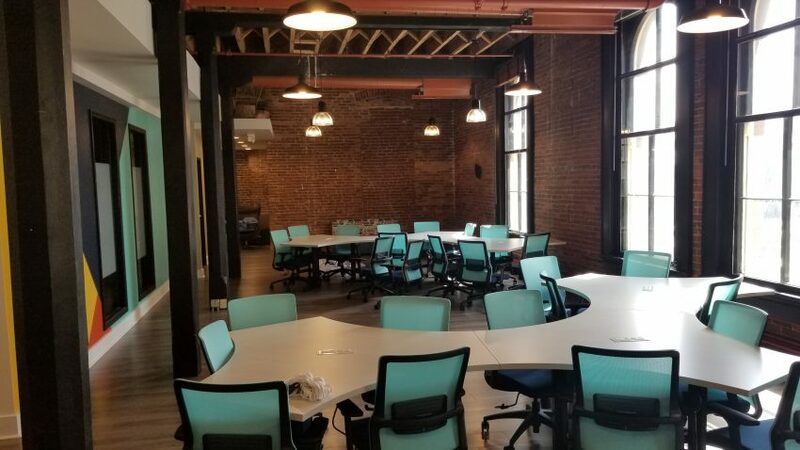 Growing tech apprenticeship and coding school, Kenzie Academy, recently expanded their space in downtown Indianapolis’ Morrison Opera House by 2,200 square feet. Elements of the “old” building remain, while unique accent walls were added, allowing for more students to take classes and expand on local tech talent. Julie Johnson with Indiana University, ran point on design.